Without a doubt, having more than one Asian women's team at the Rio 2016 Olympics is a difficult proposition. 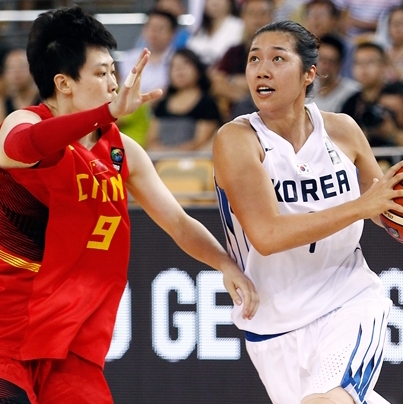 Korea and China, who finished third and second respectively at the 2015 FIBA Asia Women's Championship, have tough opponents in their respective 2016 FIBA Women's Olympic Qualifying Tournament (WOQT) groups, and there will be tremendous pressure on them to join Japan in the quadrennial sporting event. If ranking were to be the major basis, both Korea and China should move past the initial round of competitions and make the Quarter-Finals. Korea are grouped with powerhouse Belarus and African side Nigeria, who are ranked 10th and 42nd respectively in the FIBA World Ranking Women. Korea are in the top 12 and should, at least on paper, be able to win at least one game in the Group Phase. For coach We Sung-Woo, the main players who will carry the torch are Yang Ji-Hee, Kim Dan-Bi and Lee Kyung-Eun. Standing 1.85m tall, Yang is projected to be this team's anchor in the middle and will have her work cut out as she takes on the likes of Nigeria's 1.88m bruiser Ndidi Madu and the Belarusian tower of power that is 1.95m Yelena Leuchanka. Kim and Lee, meanwhile, should be Korea's main perimeter weapons. Kim, who last played at the world level in the 2010 FIBA Women's World Championship, led her squad in scoring last year, putting up 11.1 points and 1.6 triples per game on 32.4 percent three-point shooting. As for Lee, Korea's chief playmaker, she handed out more than three assists per outing while also getting 1.1 steals and hitting 1.4 triples per contest in Wuhan last year. If coach We can squeeze out the best from these players in the Nantes tournament, Korea should be able to make the final eight and hope for some upsets. And who awaits them in the knockout round? One among the three Group D teams: Venezuela, Spain or fellow Asian quintet China. Like the Koreans, the Chinese of coach Thomas Maher will also encounter rough waters in the Group Phase. 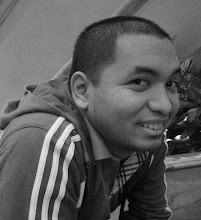 His wards will rue the day they lost in the Final of the 2015 FIBA Asia Championship Women's Championship as they will have to face off with world #3 Spain and #31 Venezuela, who managed to sneak into the WOQT despite finishing outside of the top 4 at the 2015 FIBA Americas Women's Championship by virtue of the fact that Brazil, who came in fourth, are hosting the Olympics. Among some of the great players the Chinese are set to oppose are Spain’s fabulous frontline composed of Alba Torrens, Laura Nicholls and Senegalese-born naturalized player Astou Ndour. Venezuela, meanwhile, will boast of Roselina Silva Serrano, Yosimar Corrales and Cleydar Blanco Pinango. For his part, Maher will have to rely on the skills of slasher Shao Ting and his twin tower combination of 1.90m Gao Song and 1.95m Sun Mengran. Shao, who has good size for a wing player at 1.84m, was China’s leading scorer last year in Wuhan, dropping 11.6 points per game, but she will have to sharpen her sights from long range as she made only 3 triples in 7 matches. She will face much bigger defenders as she barrels down the lane in Nantes, so having a reliable outside shot should make things more manageable. That also holds true of her free-throw shooting, as the native of Beijing managed to hit only 50% of her foul shots in 2015. As for Gao and Sun, they led China in rebounding in last year, but neither of them could really contain Japanese star Ramu Tokashiki in that competition. This means they will need to find a way to toughen up against much heftier opponents in the WOQT. Sun’s ability to occasionally hit from beyond the arc may be a potent weapon, though, and if coach Maher can consistently harness that, China may yet be able to clinch a ticket to Rio. We also cannot rule out the effect of the possible return of veteran star Nan Chen to the team after effectively retiring from the game. Needless to say, despite having a couple of lower-ranked teams in their respective preliminary groups, both Korea and China will go through the wringer in Nantes. Needless to say, for them to book tickets to the Olympics, they will need to play markedly better than they did in last year’s Asian qualifiers. READ MORE ABOUT THE #FIBAOQT HERE!